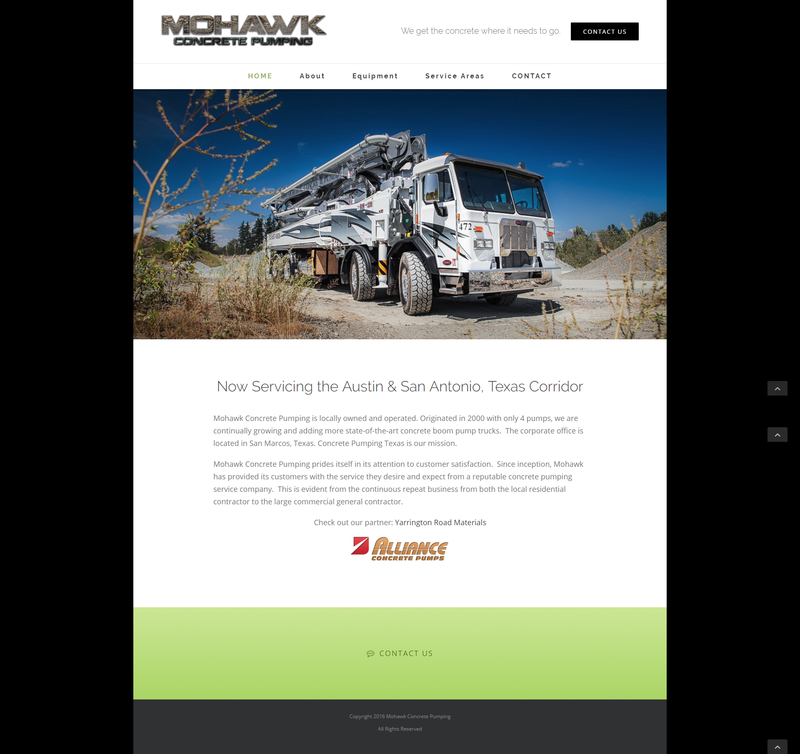 Mohawk Concrete Pumping is locally owned and operated. Originated in 2000 with only 4 pumps, we are continually growing and adding more state-of-the-art concrete boom pump trucks. The corporate office is located in San Marcos, Texas. Mohawk has been getting business from their website consistently. Web traffic is steady and peaks in the summer months.